The one thing that prevents individuals from achieving goals is their limitations and the unwillingness to break through them. Fear, doubt, physical deficiencies are amongst the mental vices that causes us to give up. While some have thrown in the towel there are others whom stay determined to overcome anything life throws at them. Furthermore with this positive attitude overcoming adversity is a simple task as the only thing that awaits is happiness, capturing the goal, and unlocking that full potential they never knew existed. 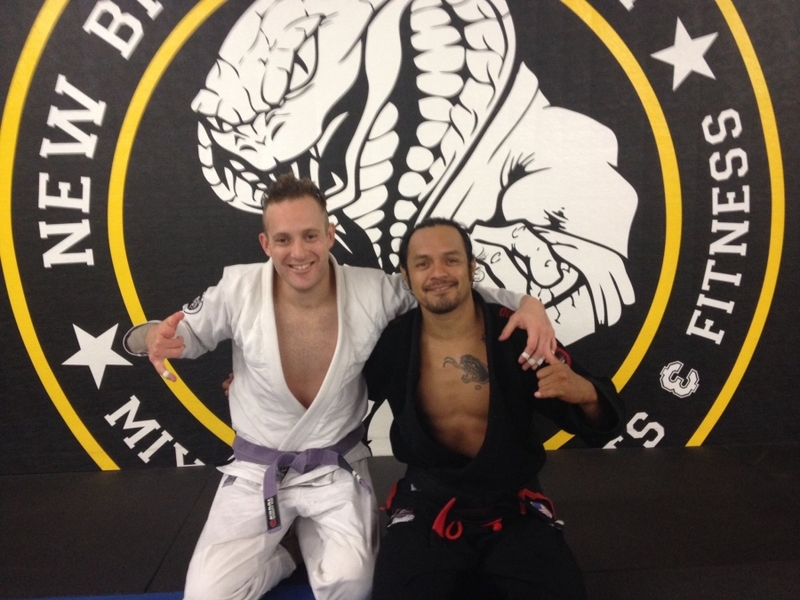 Whether its battles on or off the mat Sityodtong Los Angeles/Team Wander Braga BJJ Purple Belt Max Blum constantly continues to break barriers. To thinking being a one legged amputee grappler he could come up with any excuses of what he can’t do. However he is doing the opposite pushing beyond his set limits to becoming a true champion in life which has also served as an inspiration to anyone that has had the pleasure of training and interacting with him. What makes him so driven and positive you ask? We here at BJJ Legends got the opportunity to talk to Max Blum as we get an in-depth look at this ambitious grappler. What is you physical condition and how did you end up with it? Max Blum: The condition I have is Streeter Syndrome. It is a condition where Amniotic bands get attached to the Fetus and Utero which cuts off the muscle and bone from growing into what a full body human being with two arms and two legs look like. Before getting involved in BJJ how would you describe your life? Max Blum: Growing up at an early age knowing that you are different, I would always have some insecurities about my appearance in wanting to be whole and normal like everyone else. Coming from a family of successful athletes it was always encouraged to take part in sports which motivated me to compete. The reason for me wanting to compete was because I was given limits by doctors, social workers, and others individuals of what I can’t do. This made me want to prove these doubters wrong. Unfortunately with all my focus on the physical realm, work, and traveling my academics took a backseat which resulted in me not finishing school thus lacking the confidence to be successful in that area. How did you get involved in BJJ? Max Blum: In 2006 I had some life altering events that happened to me. I had a childhood friend that passed away from a drunk driving accident and my favorite cousin due to an automobile accident traveling in bad weather. I had already lost a lot of focus in my life. I was traveling, not involved in sports, and was out of shape. All of this made me very depressed. The turning point was when I discovered a couple of friends were into grappling. I didn’t know anything about it at the time but it seemed to be doing them a world of good. I imminently became interested and started training BJJ in 2009 under Team Wander Braga at Fight Forum in Montrose, California. Now when you started training did you initially start training with or without the false leg? Max Blum: I started training with the False Leg. Max Blum: I was so use to not doing anything without it. Looking back I believe it was also part insecurity and feeling scared I would hurt myself. What was the turning point where you decided to train without it? Max Blum: My first instructor started noticing I would get stuck in certain positions especially the half guard so he recommended I train without it. It is when I started training without the false leg that my grappling game started to get better everything from my top to bottom game especially the guard which is very offensive. As you progressed through your BJJ journey when did you started to notice a change within yourself not only as a grappler but also on a personal level? Max Blum: BJJ has helped take the fear of failure away from me. It has given me a lot of confidence that I have used to stay positive in my life with my current situation being an amputee. I went back school and finished it being on the dean’s list every semester at CSU Northridge. Overall just being successful at anything I put my mind. Who would you say has been your biggest influence in your BJJ Journey? Max Blum: I have had a lot of influences in BJJ but one major influence has to be my instructor Antonio Fernando Castillo. He would always give me a lot of encouraging, advice, and help me develop my game. Looking toward the future do you have any goals for yourself as a grappler or even in general that you would like to accomplish? Max Blum: As I get older I would like to transition into a career that I find successful. I would also like to give back to others just as my BJJ coaches have given back to me. Finally for anyone reading your story how would you like to be remembered in hopes of inspiring others to overcome the challenges life puts in front of them? Max Blum: I would like to be remembered as someone who loved the sport and tried to incorporate it into their way of life which made it into a life style. I would like to also be remembered as someone who was a good skillful practitioner who had respect for his training partners, past opponents, and future opponents. For anyone reading this I would just like to say don’t let anything hold you back in life. It all about taking the lessons you learn in all walks of life and applying them to the big picture. Anything is possible all you have to do is remain positive, be dedicated, set goals, and challenge yourself to become better. Is there anyone you would like to thank before we close this interview? Max Blum: There are so many people I would like to thank. But first and foremost, I need to thank my coach and close friend, Fernando Castillo; words cannot express how valuable all the lessons he has taught me on and off the mat and I am forever grateful for all he has done for me. I also need to thank Master Wander Braga, Kru Walter Michalowiski, Jeff Obar, Ido Pariente, Orlando Sanchez, Pete Han, all of my Braga and SYT teammates, and every single individual I’ve ever had the opportunity to train with. In addition I want to thank my family, especially my brother, Sam Blum, who is a blue belt at Alliance NY. And last but not least my girlfriend, Tania Verafield; who loves and supports my addiction to Jiu Jitsu.